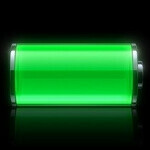 Wouldn't it be cool if one could recharge their phone's battery by shaking it for a few minutes? Yeah, that may sound a lot like an idea taken out of a sci-fi movie, but scientists are already developing the technology needed to make that possible. And no, it does not involve any use of black magic. Instead, the energy of vibrations and movement is being converted into voltage with the use of piezoelectric materials. Scientists at Virginia Tech in Blacksbur lead by Shashank Priya are experimenting with zinc oxide, which is known for its piezoelectric properties. It can convert physical pressure and vibration into energy, which could potentially recharge batteries. Experiments have shown that the method can deliver about 50 millivolts under favorable conditions. Unfortunately, that is far from enough to power a handset continuously. However, in an emergency situation, a few minutes of shaking a phone might be sufficient to provide the energy needed to make an important phone call, according to the scientists. Create a Shake-Weight phone slot and you're golden! Shake-Weight will definitely want in on this. "From the makers that brought you Shake-Weight....We present to you (drumroll and fanfare) Shake Charge! Now you can charge your mobile phone while toning your arms....at the same time! It's so simple even your child can do it! Have you ever been out somewhere and thought to yourself that your arms are to fat and you have a low battery? No problem for Shake Charge! Better yet say you're at the gym working out listening to your favorite music and you're worried that your phone will die. With Shake Charge, just pump those arms a little harder and you'll have a charged phone and better toned arms! Alright!!! So what are you waiting for!? Call now! 1-800-SHAKE-ME. Disclaimer: Shake-Weight is not responsible to any damage caused to your mobile phone. Please check with your manufacturer to ensure that enabling this feature will not void your warranty. Applications won't be a help on this one...it needs to be from the hardware. If it were available on an application...it will be a total gimmick!! I thought that was how you charge the phone anyways? Always worked when I shaked it? To shake my phone for a few minutes so i can make a call ? That's it ? Everyone will think that im masturbating for a few minutes but ok np ! step one - stick phone to fapping hand step two - fap all you want step three - ????? step four - profit!!! Another inefficient induction charging on mobile phone...?